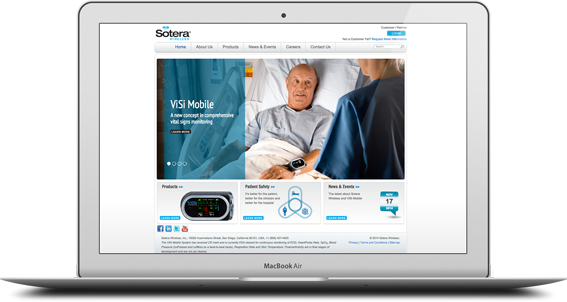 Sotera Wireless came to ParkerWhite for help in remessaging their ViSi Mobile product and developing a lead generation program. 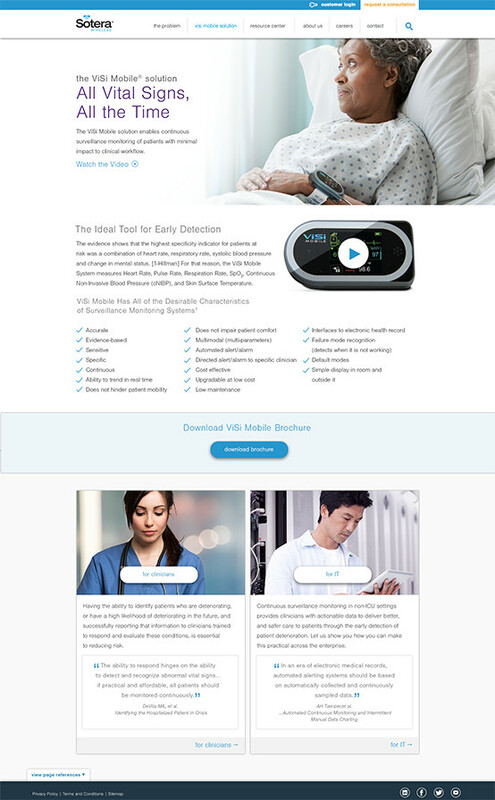 The ViSi Mobile system enables wireless, continuous surveillance monitoring of patients outside of the ICU. 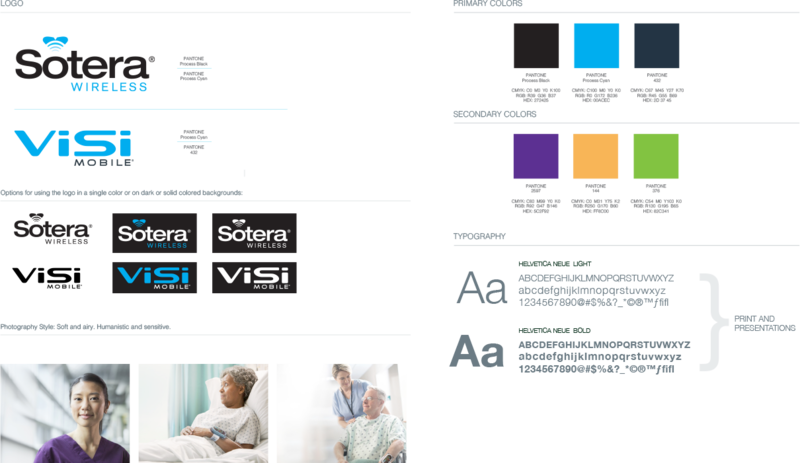 In discovering that 75% of adverse events and preventable deaths occur outside the ICU in unmonitored beds, it lead us to the new tagline: Keeping an eye on life. 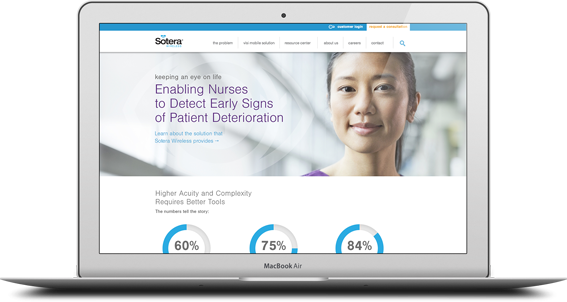 The messaging platform moved the company messaging away from a product-focused company to a valuable solutions company addressing patient safety and early detection, which improves quality of care and optimizing nurses’ workflow. 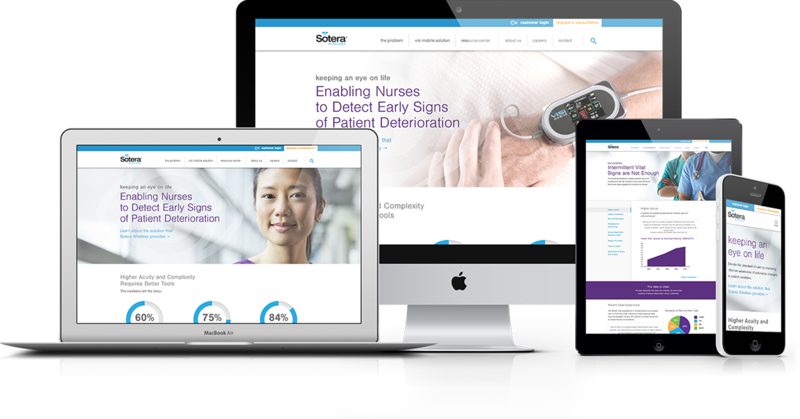 Our work includes developing a content rich website with a lead capture and brand messaging strategy, an engaging and effective sales presentation, overview video animation, brochure and email marketing program. 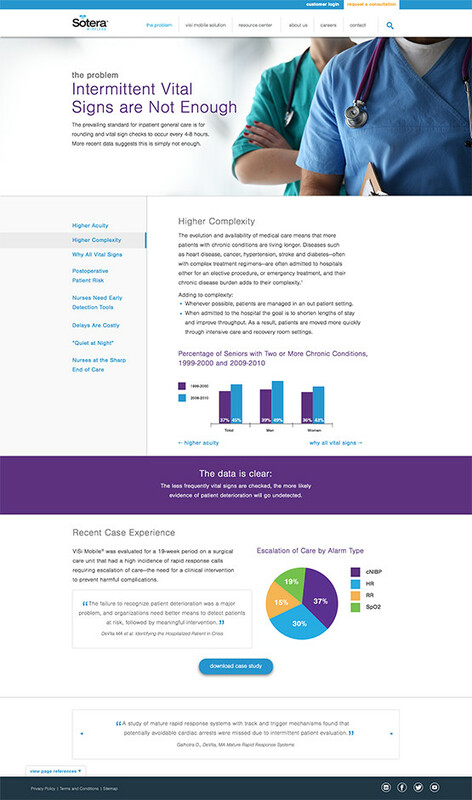 The site has just recently been launched, and the analytics showed over 100 leads in the first month.